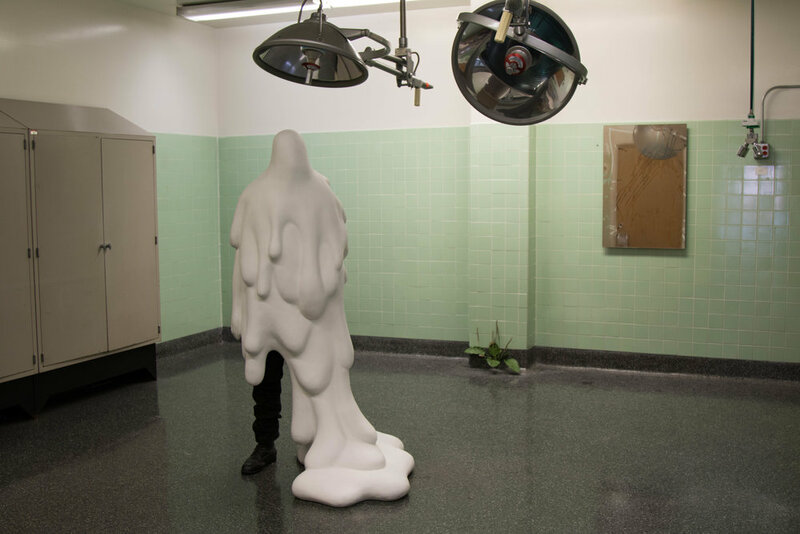 Human Condition is an immersive, site-specific exhibition that features the work of over eighty emerging and established artists in a uniquely challenging space: a former hospital in West Adams, previously known as the Los Angeles Metropolitan Medical Center. 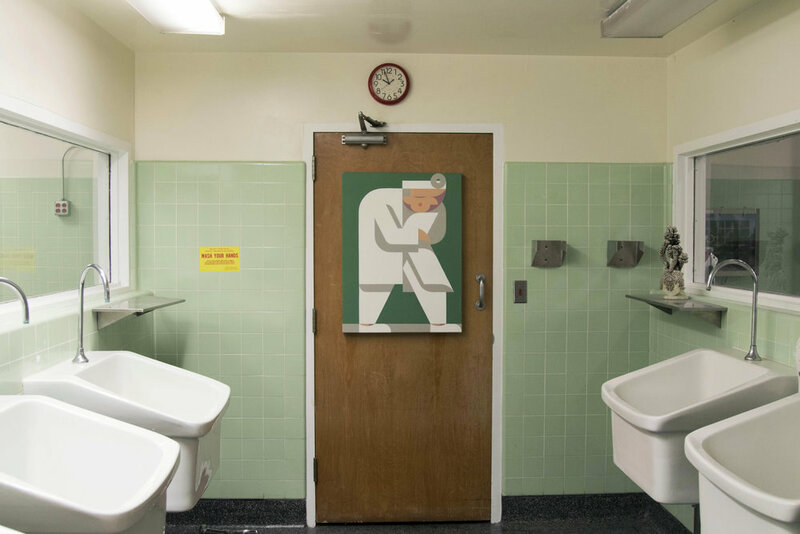 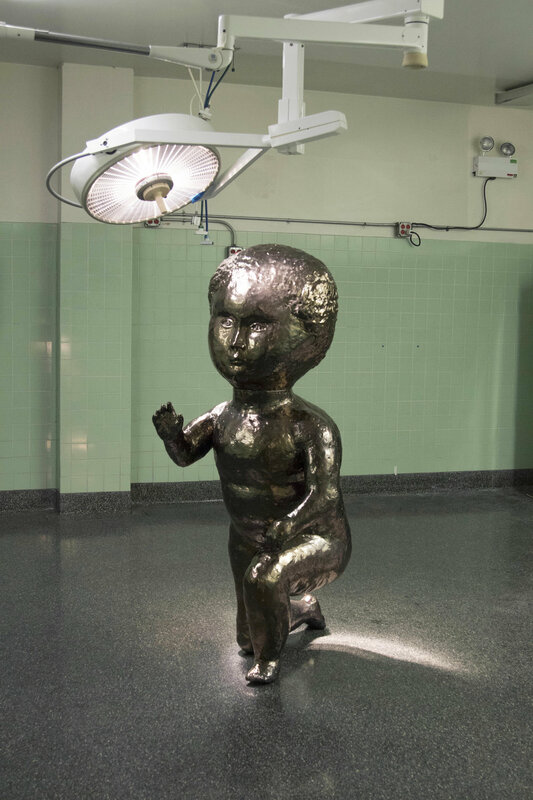 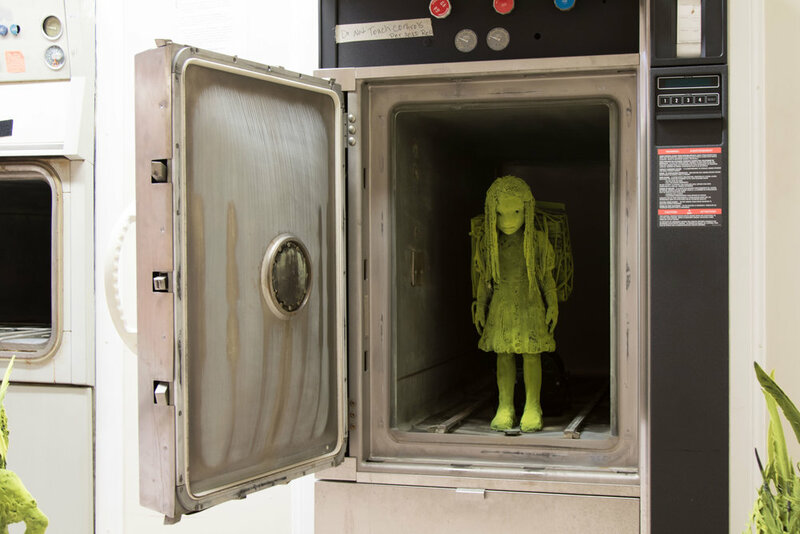 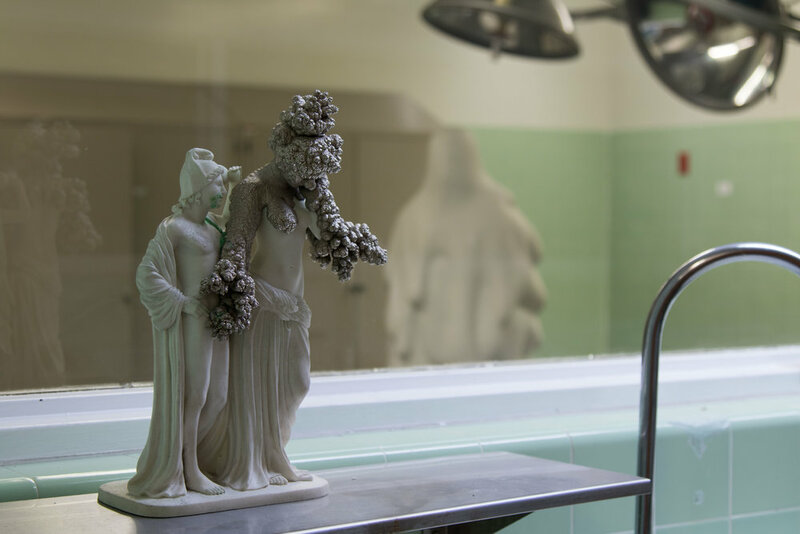 Curated and produced by the Los Angeles-based art advisor John Wolf, Human Condition invites artists to re-contextualize the hospital’s functional history—over 40,000 square feet of it—as a venue to explore what it means to be human. 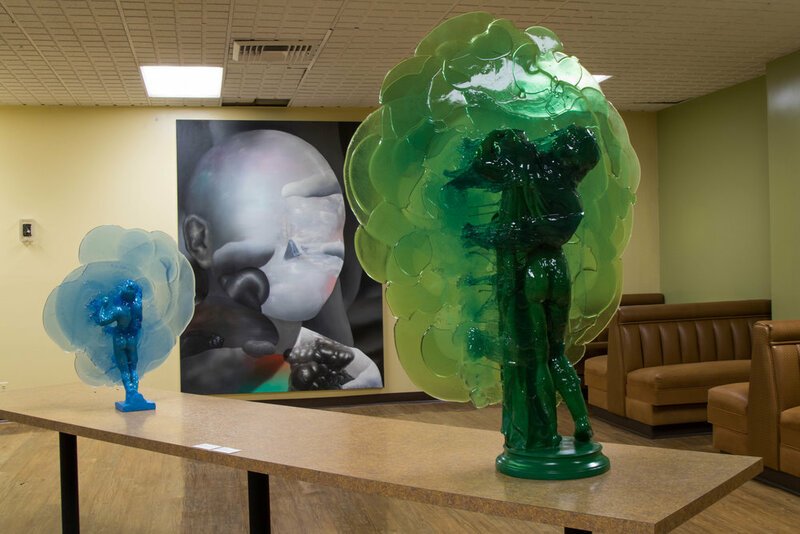 The exhibition opens to the public on October 1, 2016 and runs through November 30, 2016. 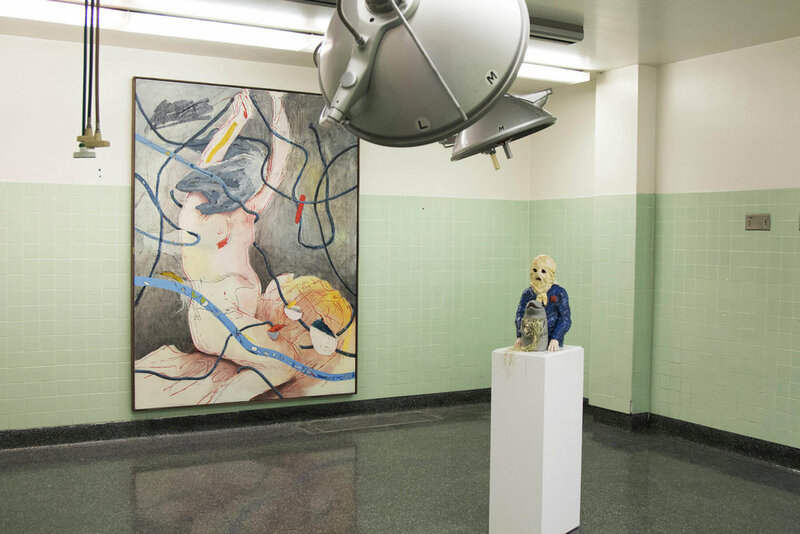 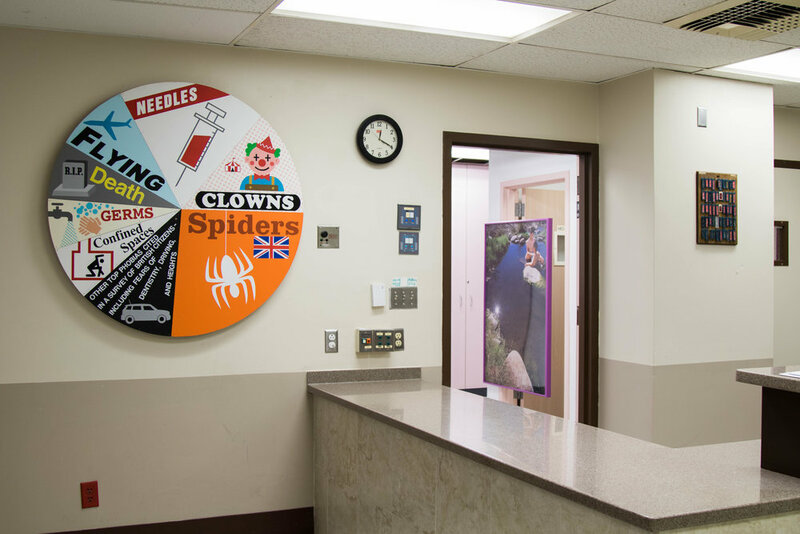 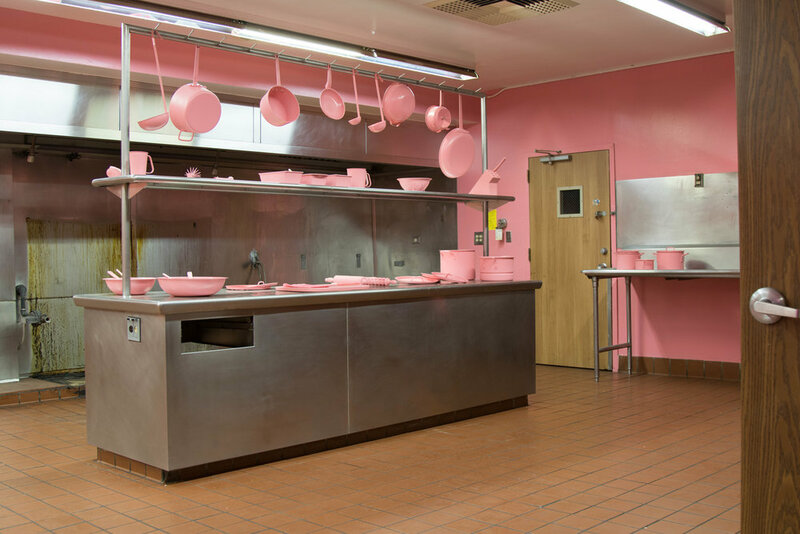 Many of the artists have taken over entire hospital rooms for solo presentations and site specific installations, with the two main floors of the exhibition divided in approach to human condition. 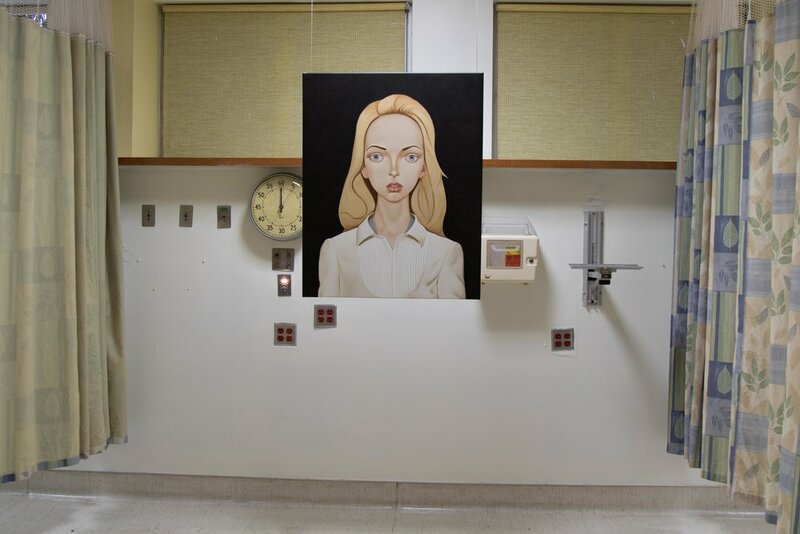 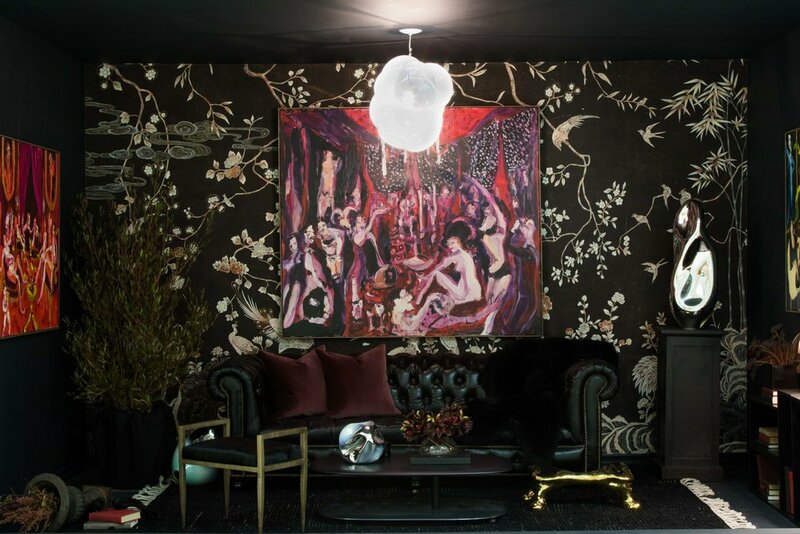 The subconscious mind is addressed on the first floor by artists Jenny Holzer, David Benjamin Sherry, Gregory Crewdson, and Chantal Joffe, among others. 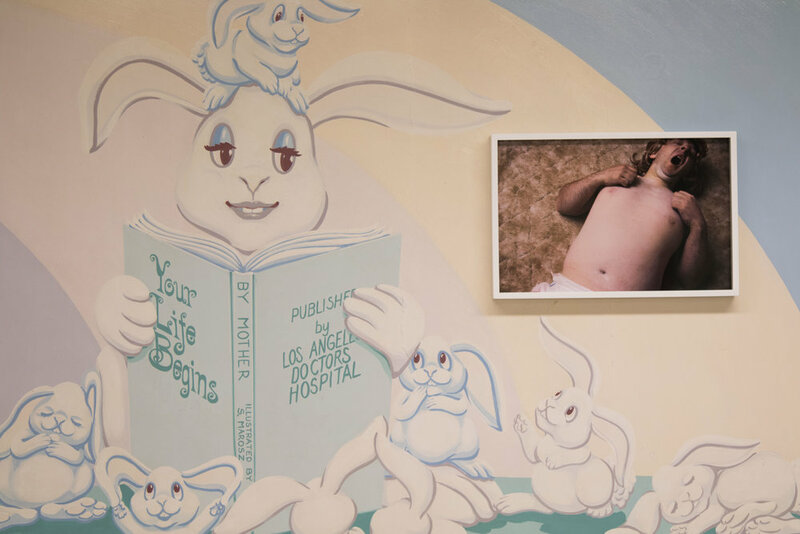 The hospital’s rooftop billboard, which once read “The Los Angeles Metropolitan Medical Center,” now reads “Flesh and Bone Zone” in a gradient of flesh colors—the work of artist Kelly Lamb. 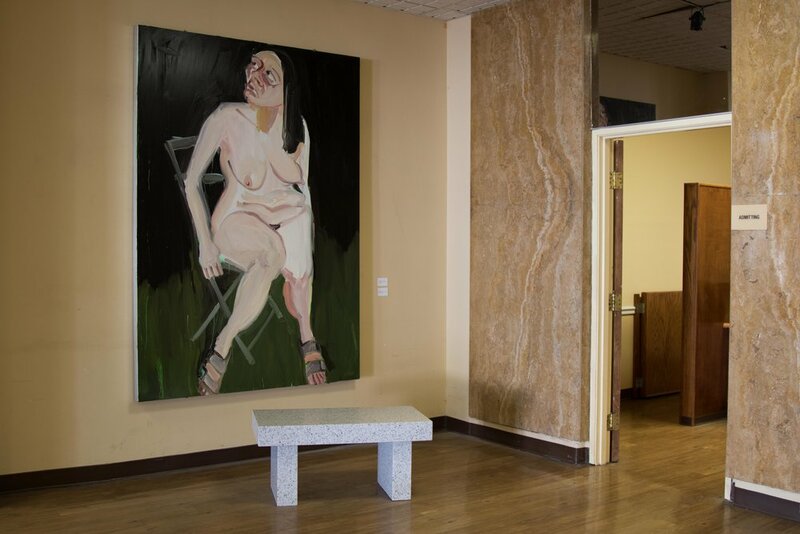 Upon entry, Jenny Holzer’s engraved white granite bench “What a show when they tell you it won’t hurt…,” 1989, succinctly sets the tone for psychological tour de force ahead. 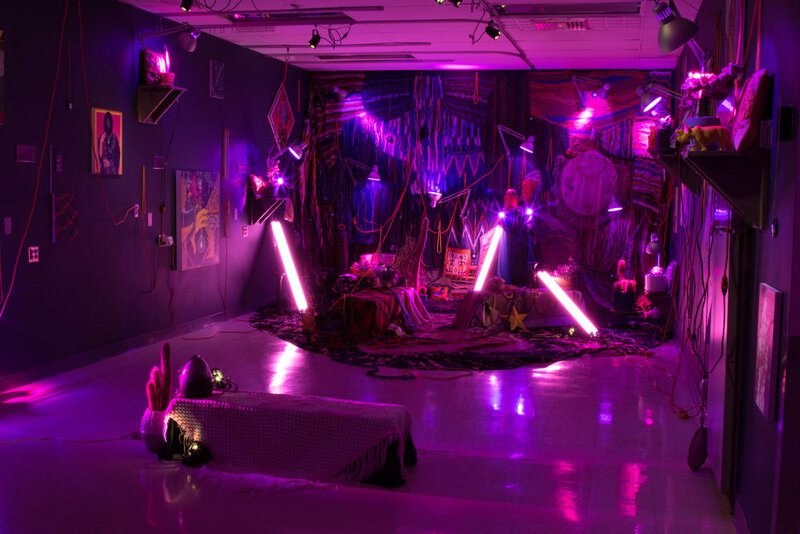 Friday, Saturday, Sunday: 11 a.m. – 6 p.m.